Africa Fashion Guide Sourcing Directory brings you the first major platform for sourcing designers, artisans, African cotton organisations, manufacturers, textiles suppliers and more, in Africa, with an ethical perspective. 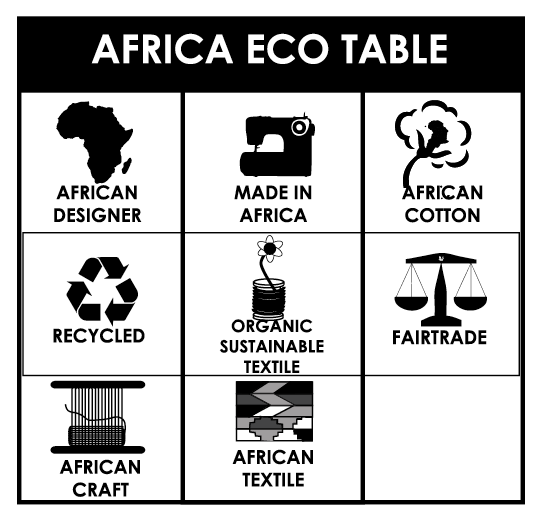 Follow the AFG AfricaEcoTable icons to determine what the ethical credentials are of the company you source to give you a more considered response in your sourcing and manufacturing needs. See examples of companies below and their capacities, ethical credentials and backgrounds as an idea of what you can find in our Africa Fashion Guide Sourcing Directory.